Emiraza College offers courses in various medical and health disciplines. 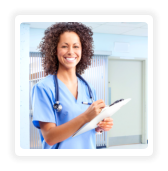 We cover different areas on the practice of healthcare including but not limited to Midwifery, Nursing and Personal Care. At Emiraza College, we acknowledge the role to prepare aspiring healthcare professionals for a future successful career in their chosen field(s). Courses and training programs vary in timeframes as well as in schedules so enrollees can take full advantage of acquiring their education. In just 12 months, you can earn a degree – it broadens your career opportunities. It gives you an edge above other applicants. 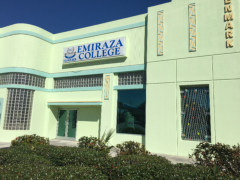 Get your training from Emiraza College today! Enrollment is ongoing for many programs/courses in our For Pierce, Florida location.